Play Oculus Rift games on HTC Vive - Is it possible? Many wonder whether it is possible to play Oculus Rift games on the HTC Vive. The answer is simple - currently it is still possible to play some games. It is difficult to estimate how long it will remain, because a patch should be already in the works. In our article we will show you how it works and include list of best Oculus Rift games, which you can play on the HTC Vive. The release of Revive Update 0.5 makes available a wider choice of Oculus Rift games for the HTC Vive. The following list outlines the most Oculus Rift games running on the HTC Vive. Below we show you how you can install the games with Revive. The current compatible game list can be found on github.com. - Go to the official website of Microsoft Visual C 2015 and installed it. - Also install Oculus Home, now you must buy the selected game. - Revive must of course also be located on your computer – you have to download it and install. - Now if you restart SteamVR, you will find the tab Revive. For standalone games you have to take a different approach. 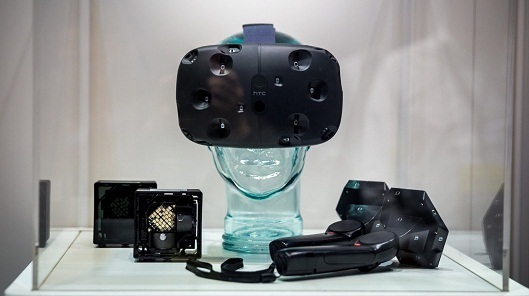 Follow the steps below to play these games on the HTC Vive. Sometimes, newly installed games display the error Entitlement check failed error. Simply Start Runtime and then it should work. This is in Settings - Beta - Restart. - Open the Game’s folder of the desired game. - Search for the .exe file, unzip the folder and pull Revive the content in the folder that contains the .exe file. - Now if you open SteamVR, you can draw on the ReviveInjector_x64.exe, replacing the .exe file.